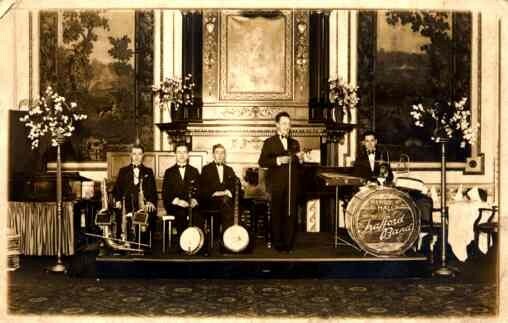 Jazz Band Real Photo - Entertainers - Real Photo - Vintage Postcards | VintagePostcards.com: vintage, old, antique postcards for collectors. Sign on the drum for Henry R. Hall and Trafford Band. Saxophone, trombone, violin, banjo.